In Steven Rubin’s Vacationland, a photography collection that examines life in rural Maine over a 30-year period starting in the early 1980s, an essay by Patricio Maya Solís introduces the work. The essay, titled “Why Do Hipsters Grow Mullets?,” places the aesthetics depicted in Rubin’s photographs into a larger, more current cultural framework. Specifically, Solís focuses on the way that pop culture at large has become fascinated with America’s rural and suburban poor. He does so by highlighting tabloid and gossip magazine coverage of Rihanna’s “White Trash Chic” phase; Levi’s 2010 “Go Forth” campaign, which sought to capitalize on the blue collar origins of the company’s work wear by filming in the economically impoverished mill town of Braddock, Pennsylvania (and casting the townspeople as models); and ends with an exercise in stream-of-consciousness that invokes such names as Ed Hardy, Megan Fox, Kid Rock, My Name is Earl, and Trailer Park Boys as primary examples of the nation’s trend toward low-brow. This speaks to a broader problem in journalism — both written and photographic — and that’s the notion of reality versus boosterism. (The latter term being best defined as “the enthusiastic promotion of a person, place, organization, or cause.”) When a place, such as Somerset County in northwestern Maine (as in Rubin’s case), is depicted in less-than-rosy terms, there’s bound to be a certain amount of backlash from locals. It’s the nature of the relationship that the media has with the public. As often is the case, the public is skeptical of the media. But people also don’t like seeing their hometown or region portrayed in a negative light. And more often than necessary, the media provides neatly packaged depictions of topics that filter out the bad (e.g., see any profile written on the cities of Pittsburgh and Portland in recent years). In Rubin’s case, however, his long-term commitment to telling the stories of this marginalized community — far from “the highways, historic lighthouses, and second homes” often identified with Maine — speaks to a higher level of dedication, and a desire to accurately document what he had seen on his many visits over the years. 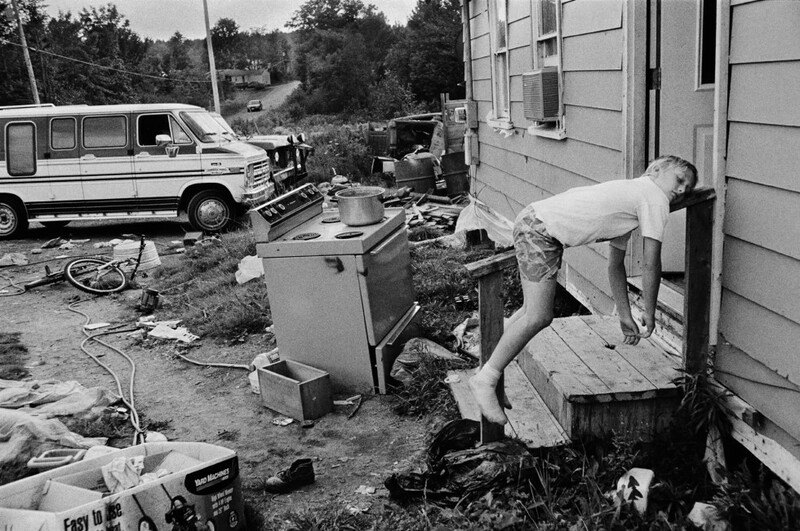 By avoiding stereotypes, and providing audiences with a long-term look at these marginalized communities in Maine, Rubin’s Vacationland becomes a profound visual document of family, friends, and community life. And while that life may appear unvarnished to the detractors that Solís mentions, that doesn’t mean it’s untrue. In most cases, when it comes to war, poverty, homelessness, or any number of difficult topics, average people often avert their eyes. And who can blame them? Reality has become increasingly difficult to stomach, especially in recent years. But when those problems are revealed in your own backyard, as in the case of how Rubin portrays rural Maine, it’s often harder to digest. Originally published by Medium in August of 2013. Photograph by Steven Rubin.